Celebrating opening day with a ribbon-cutting ceremony. 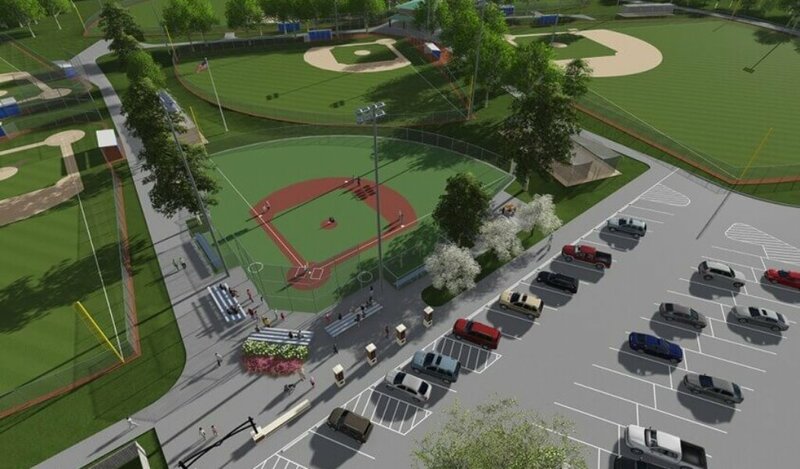 A rendering of Urbandale Miracle League Field. An athlete makes her way to home plate during the opening day exhibition baseball game. 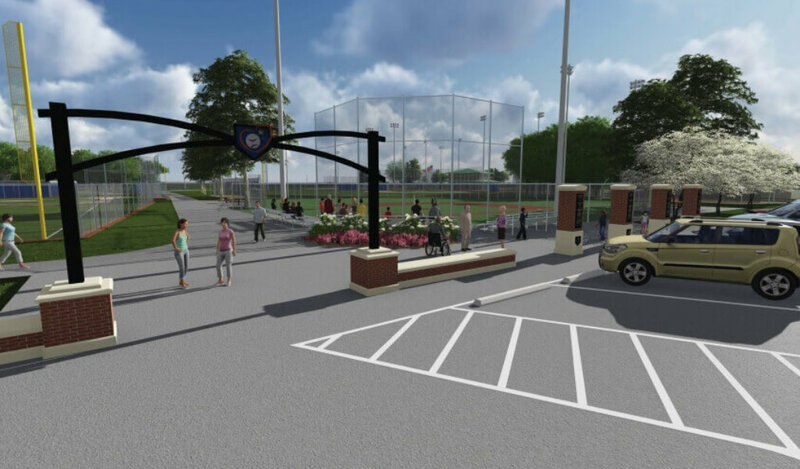 A rendering of the entrance to the Urbandale Miracle League Field. The first game at Urbandale Miracle League Field. A rendering of the Urbandale Miracle League Playground. The first exhibition baseball game held at Urbandale Miracle League Field. 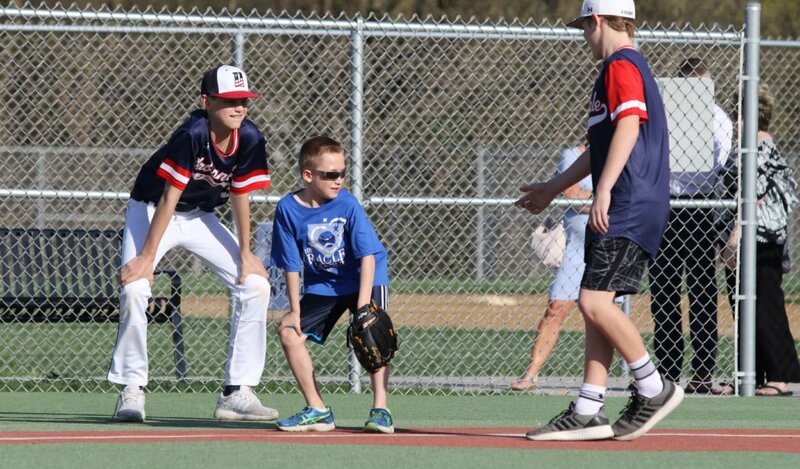 Nestled among standard little league fields at Northview Park in Urbandale, Iowa, the Urbandale Miracle League Field provides recreational opportunities for children and adults with special needs. 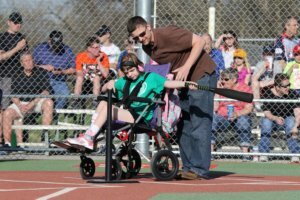 Both Ames and Ankeny are also home to Miracle League Fields, which are located nationwide and part of a growing recreational trend. Completed in spring 2018, the Urbandale Miracle League Field serves more than 22,000 adults and 20,000 children with special needs living in the northwest Des Moines suburbs. 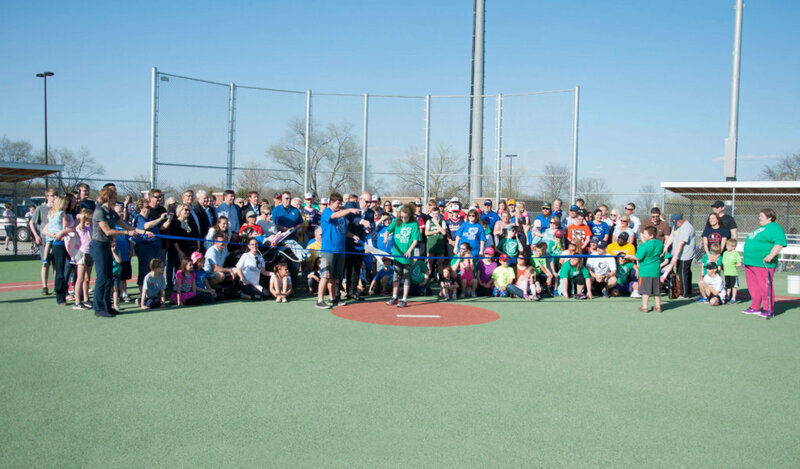 The completion of the field was celebrated with an opening day ribbon-cutting ceremony on May 4, 2018. The event included a community social and exhibition baseball game to kickoff the 2018 outdoor sports season. 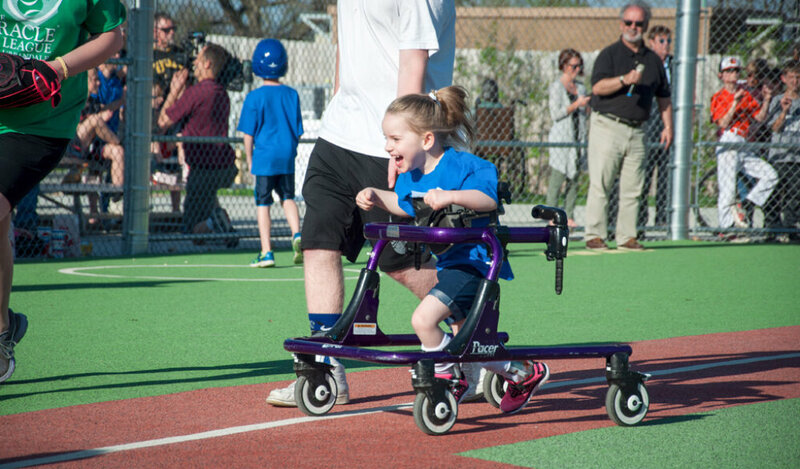 Central to the design of Miracle League venues, the field is made of a custom-designed, rubberized turf material that provides athletes with a flat, cushioned surface free of obstacles. Parking lot updates include additional handicap accessible parking stalls and bus access. In addition to softball and baseball, Urbandale plans to utilize the field to host kickball and other events for individuals of all ages and abilities. Additional improvements soon to be constructed at Northview Park include an entrance feature with inspirational baseball quotes that also honors donors and an all-inclusive playground complete with a ZipKrooz® by Landscape Structures. 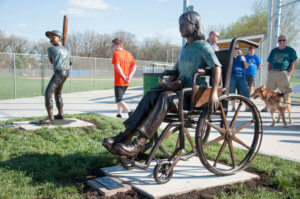 Bronze statues at Urbandale Miracle League Field promote all-inclusive play. Snyder & Associates donated a variety of professional services to prepare design and construction documents for park improvements including ADA compliance review and analysis, topographic survey, gravity sewer design and operation, signage and monuments, park planning and design, master planning, and sports field design. Fundraising to cover the $1.8 million project cost continues. To help bring awareness to the project, Snyder & Associates created display boards on exhibit at Urbandale City Hall and Polk County Public Works. A 3-D model was also produced and used to create an informational video, which provided the public with a virtual tour of the finished project during construction. 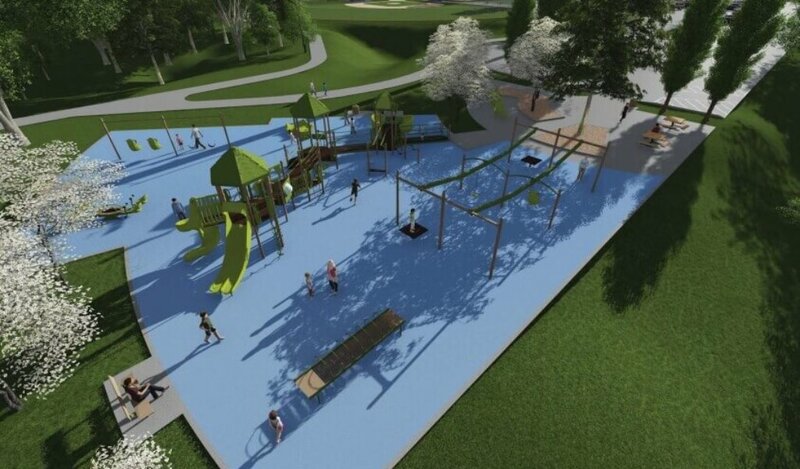 This project is the result of collaboration with Polk County, the City of Urbandale, the Urbandale Miracle League with representatives from Urbandale Community Action Network (UCAN), the Courage League, and local residents since 2014. Visit Urbandale Miracle League’s website for additional information on how this park will impact local residents. Snyder & Associates has been an exceptional help with this unique project. Anticipating questions and needs during ongoing design and construction has been invaluable. Their attention to detail and level of interaction with all parties when needed has let us move forward quickly at the right times. Snyder & Associates knows what it takes to get this project from dream to reality and we are grateful we chose them to help us see it through.